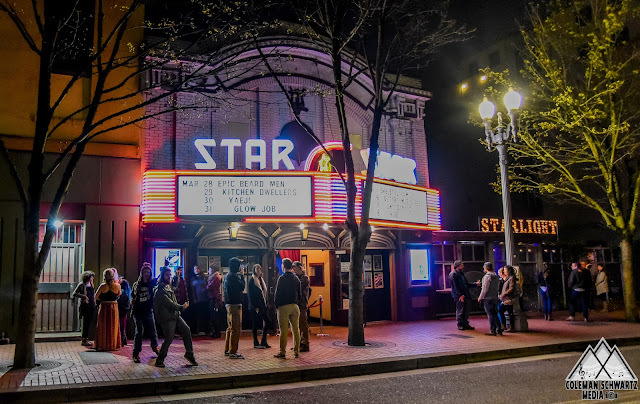 Touring together for the first time, the galaxy and trashgrass contingencies collided in Portland, Oregon when Rumpke Mountain Boys and Kitchen Dwellers stepped onto the supposedly haunted Star Theater stage. 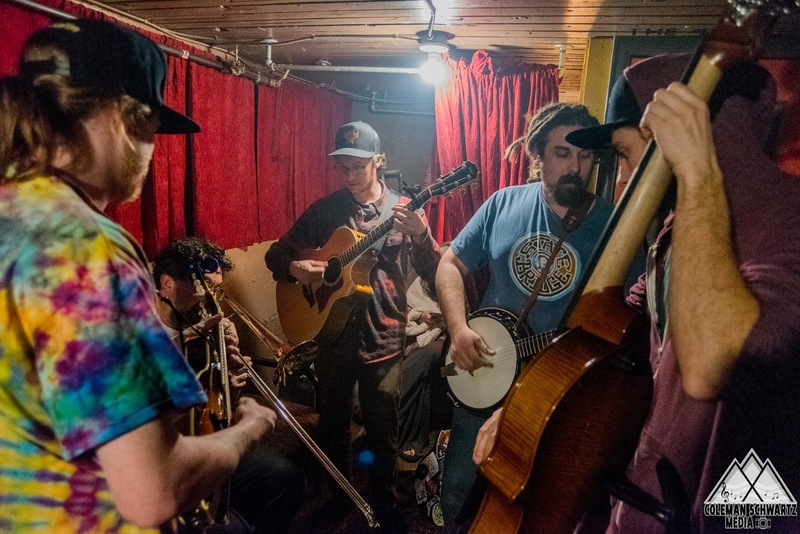 Each band’s loose interpretation of the bluegrass genre has become their identity, making for an ideal combination of degenerate jamgrass. 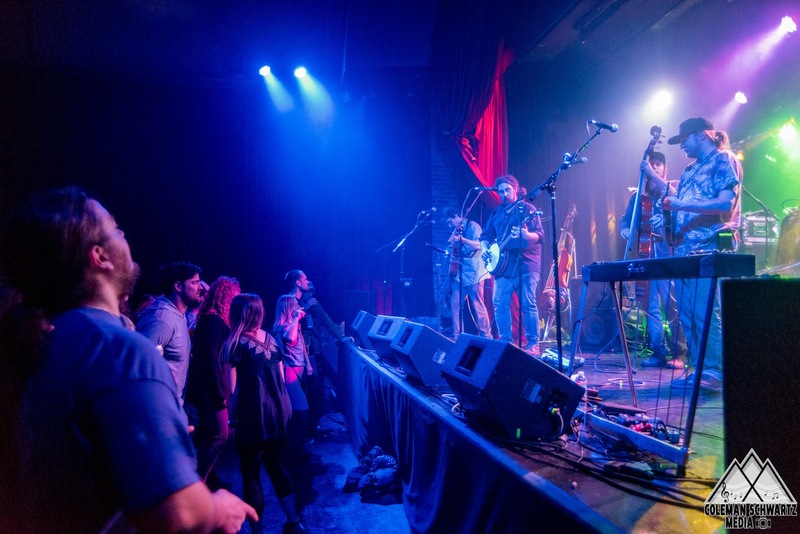 All four members of this band write and sing songs, and it was perhaps mandolinist Ben Gorley’s “Falling Behind” that was the highlight of the set after guitarist Adam Copeland’s equally relatable songwriting kicked things off. Bassist J.D. Westmoreland eventually added his own voice during “Birds of Paradigm,” a tune off of his solo album of the same name, and multi-instrumentalist extraordinaire Jason Wolf impressed on everything from banjo to pedal steel guitar. 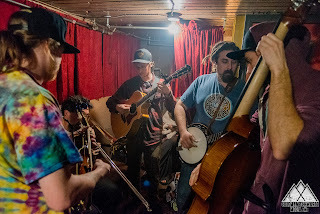 It was out with the trash and in with the galaxy grass as Kitchen Dwellers brought their spacey brand of bluegrass out for a jaunt. The Montana pickers opened with an energetic combination of “Where They Do Not Know My Name” > “Living Dread” before guitarist Max Davies dusted off an old tune about his dog named “Auggie” that he wrote with his old band, The Hollowtops. Torrin Daniels (banjo) has emerged as the band’s primary songwriter since the departure of former guitarist Kyle Shelstad a few years ago. With that change came a decided new direction in their music and a shift from less traditional folk songs to more progressive tunes with complex structure and plenty of sections to explore instrumentally. 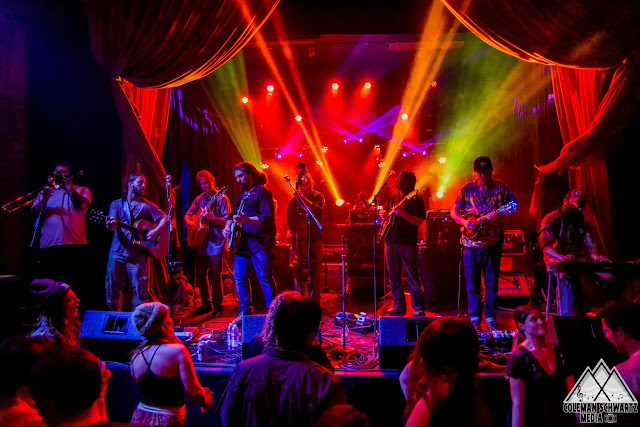 Their songs “Shadows” (written by mandolinist Shawn Swain) and “Buckle Down” (Daniels) were both good examples of this new and improved style, the latter of which featured an extended jam with teases of “The Four” (Greensky Bluegrass) and Michael Anderly on trombone. Anderly stayed out on trombone for a cover of Van Morrison’s “Cleaning Windows” in what I would’ve called the most impressive segment of the night had it ended there, but it didn’t. It was followed immediately by a “Visions of More” sandwich that lasted at least fifteen minutes and concealed a cover of “Bertha” deep in the middle. Rumpke Mountain Boys then joined the stage for an all-encompassing encore of The Band’s “Ophelia,” as the Star Theater staff tried their best to funnel us out of the venue.